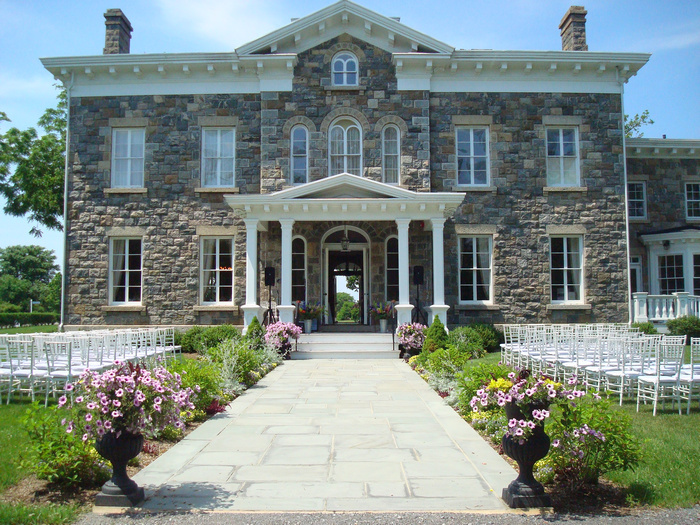 Brecknock Hall provides the wedding dreamscape you’ve been searching for—a restored historic manor home that’s resplendent with refined elegance. 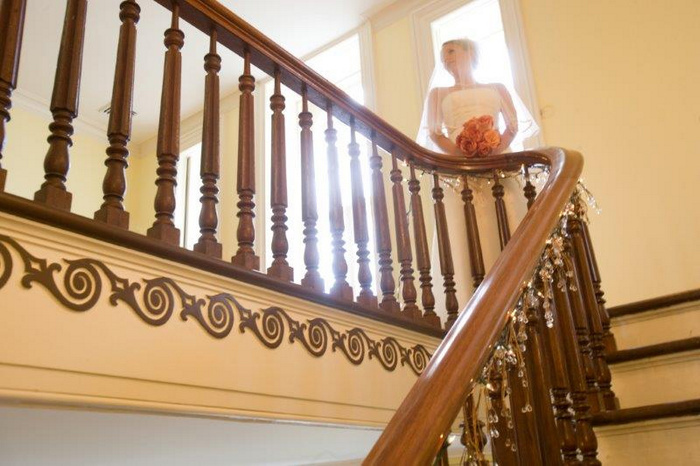 Infused with warmth and detail, Brecknock is a distinctive setting for nuptials and receptions. 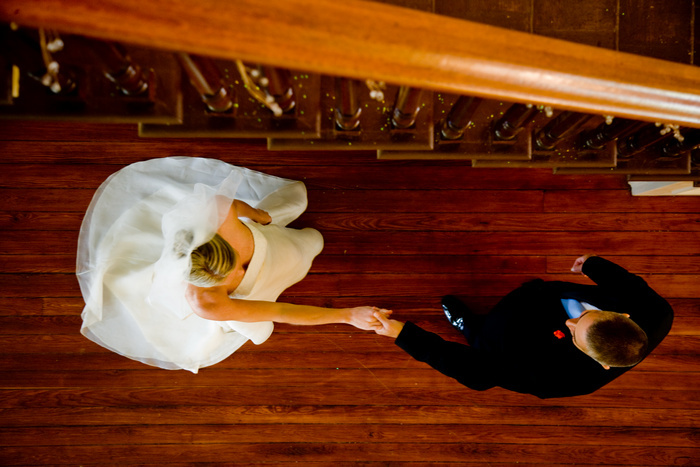 Brecknock Hall proudly celebrates the unions of all loving couples regardless of race, creed, sexual orientation or gender identity. 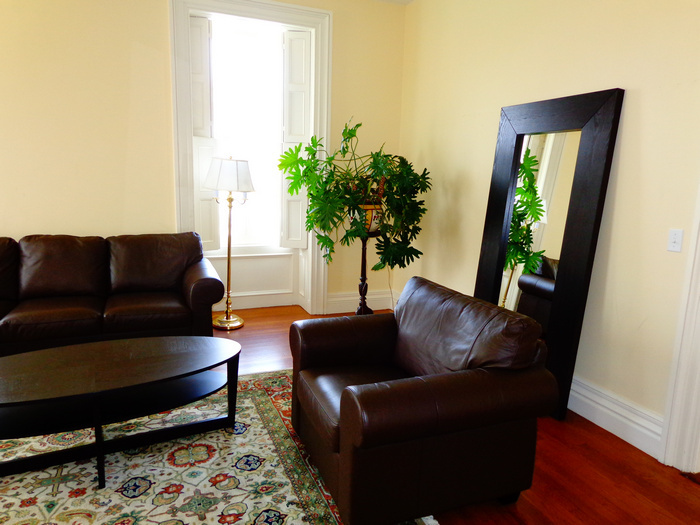 On-site ceremonies of all denominations are welcome. 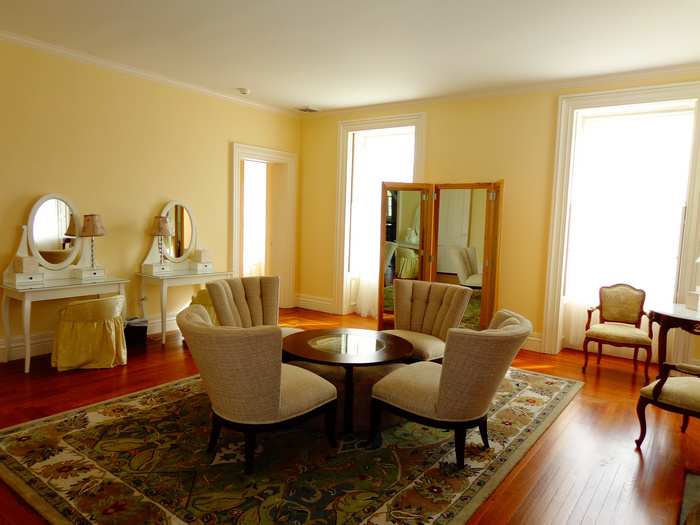 Exclusive access to the building for 48-hours, for the purpose of setting up. Housekeeping & security on the day of the event. Twenty 60” round tables. 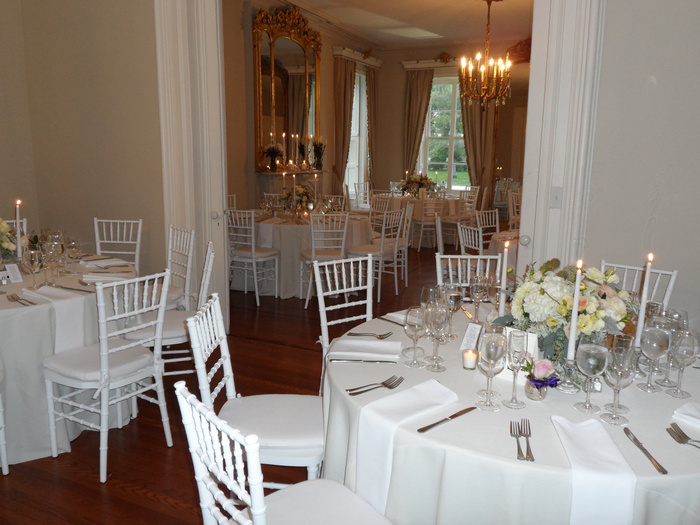 175 white, ladder-back, cushioned reception chairs. 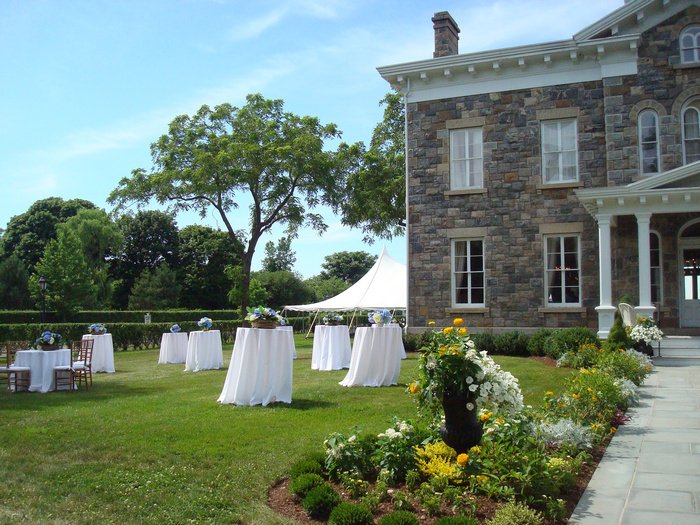 At Brecknock Hall, we provide the backdrop for your event and allow you to select and utilize a caterer and vendors of your choice. We have a list of wonderful recommendations but respect that you may already have someone in mind. 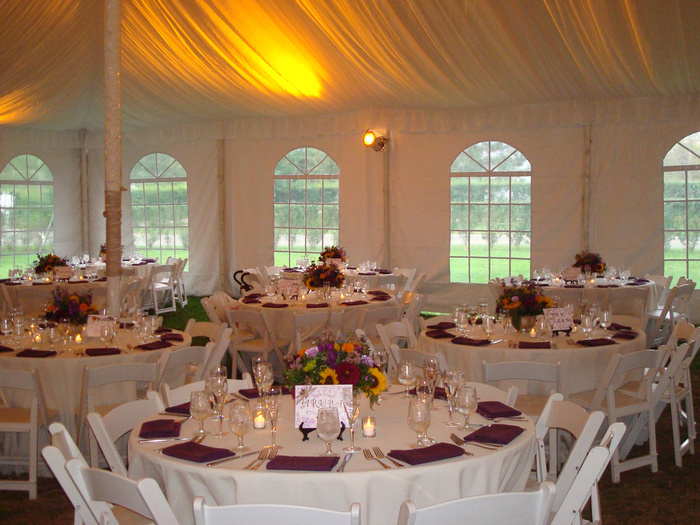 All caterers must provide alcohol and liquor license and all caterers and vendors must be properly licensed, insured and provide proof of insurance. 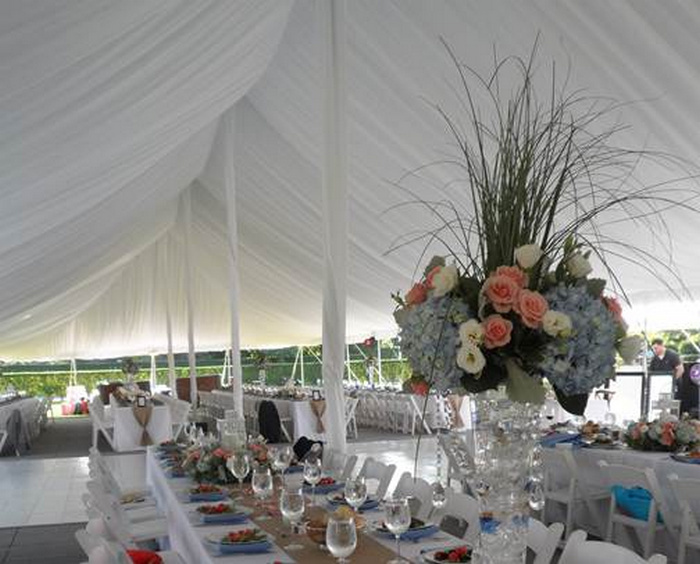 We host only one wedding or event per day, and are available year- round.